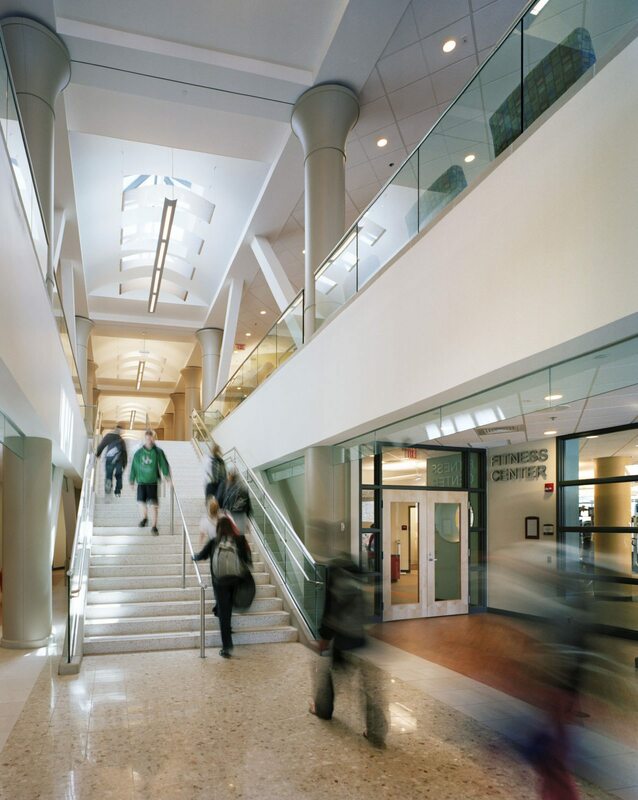 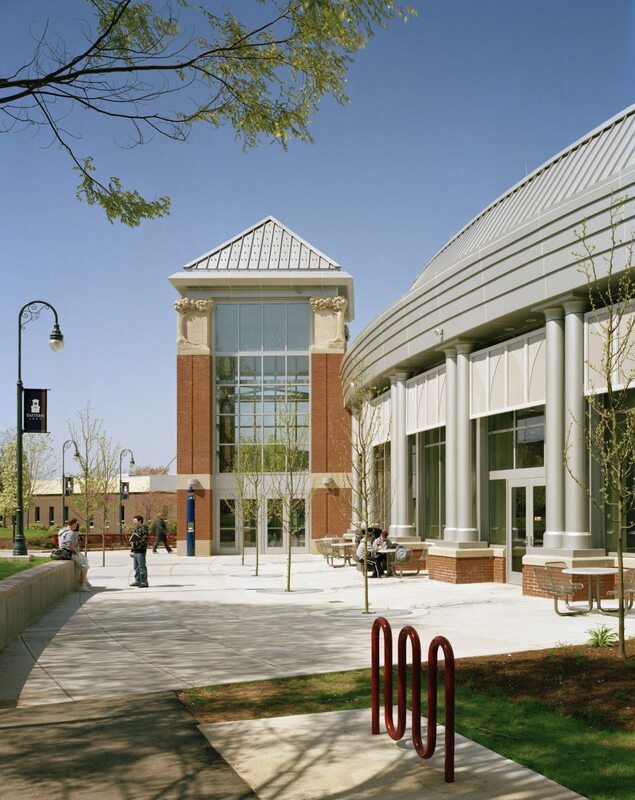 Existing Center was completely renovated as part of project and incorporates new bookstore, administrative office space, and multicultural center. 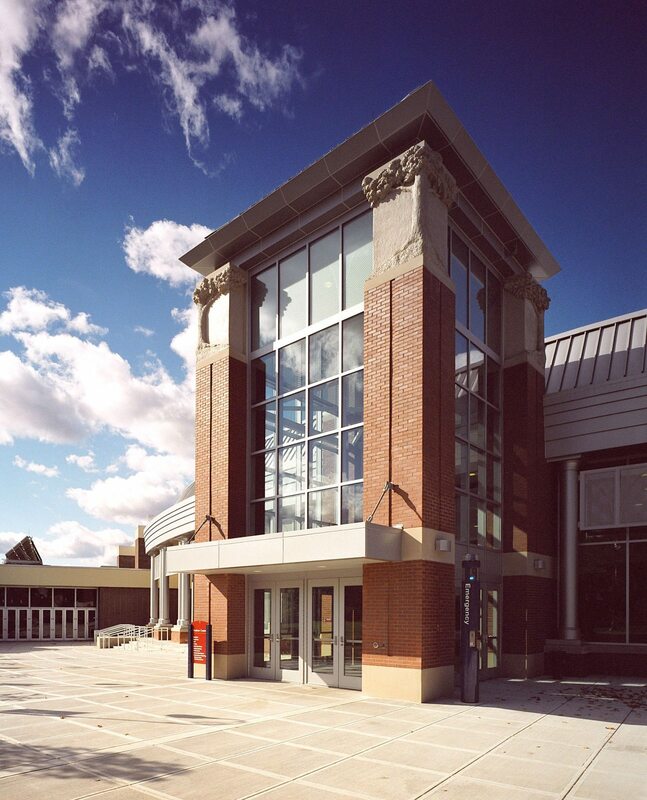 The new image is currently best expressed in the impressive design of the Smith Library and Clock Tower. 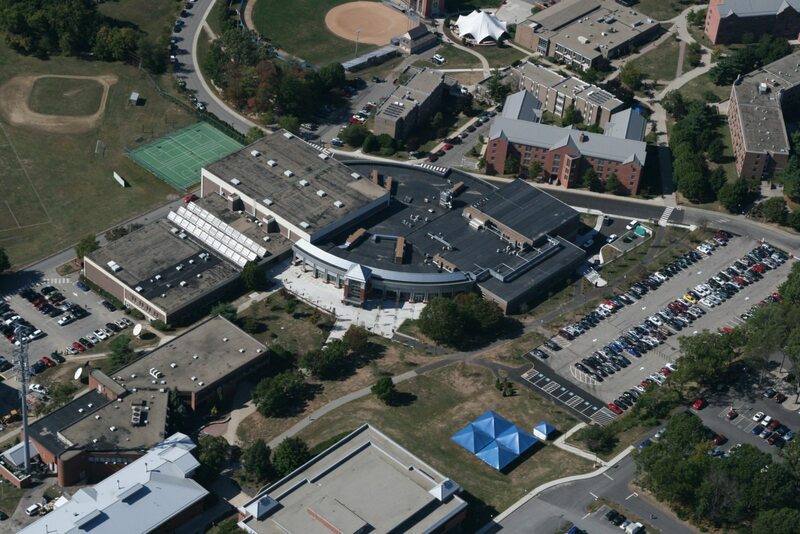 With the creation of the new University Center, this image became more uniformly realized campus-wide, gathering the buildings in between, including Goddard Hall and the Media Building. 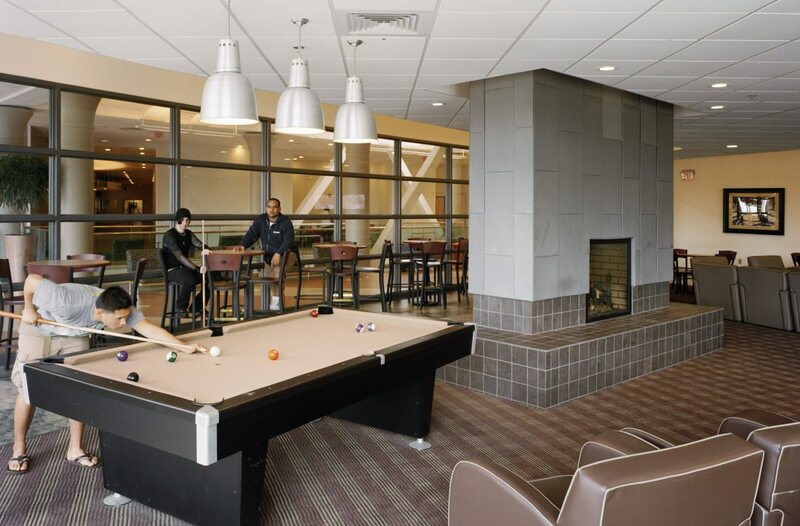 The new building became the new campus “living room” and the hub of campus life, nurturing the vitality of the learning community. 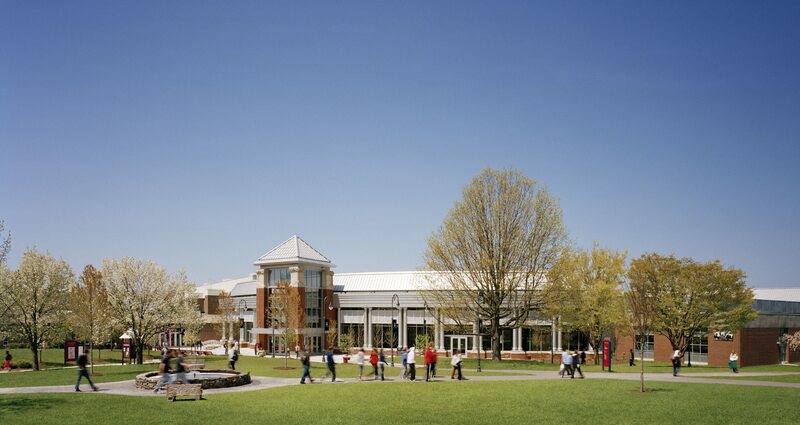 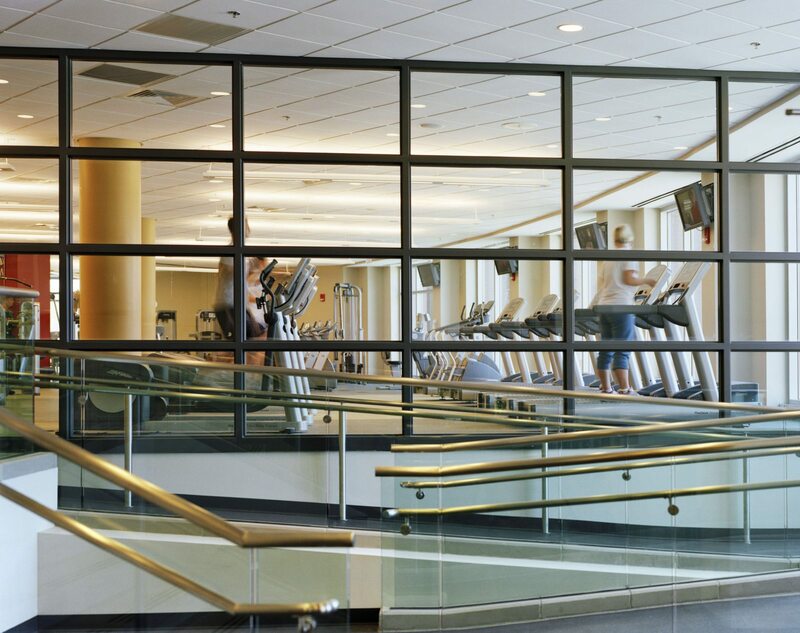 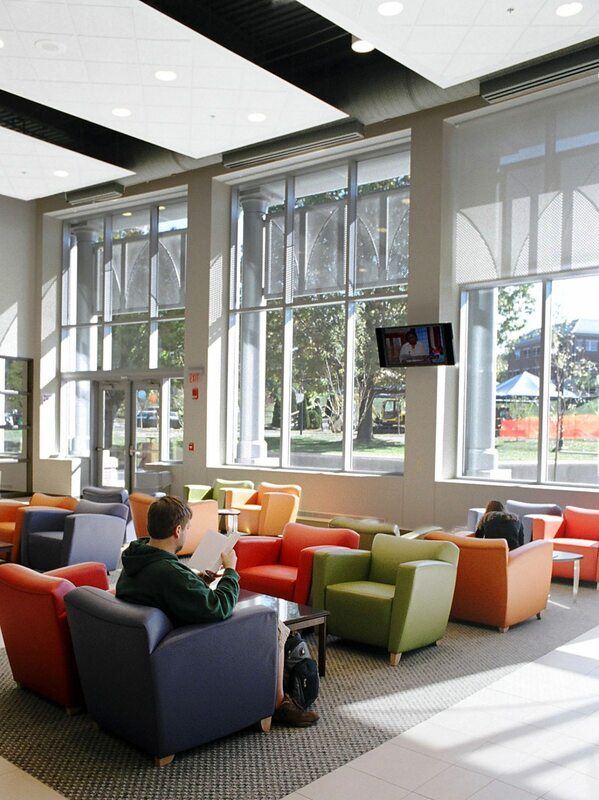 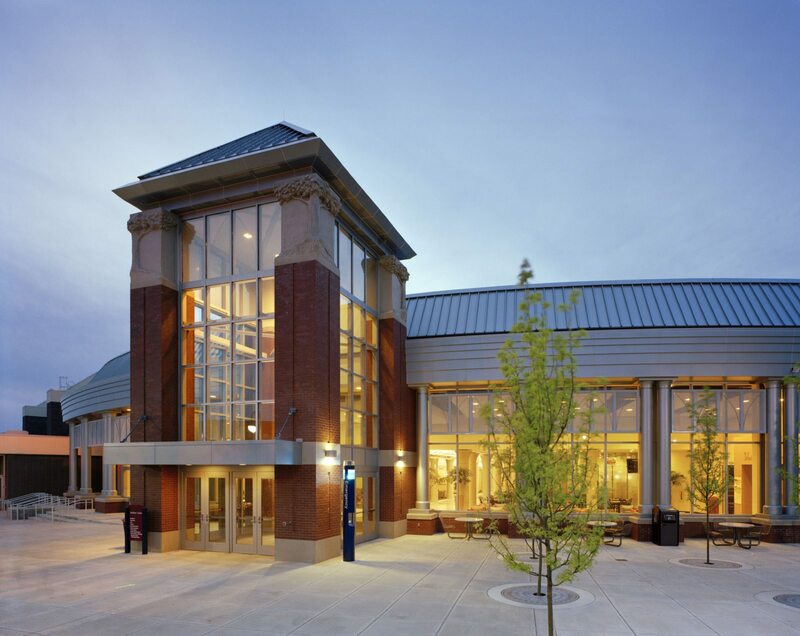 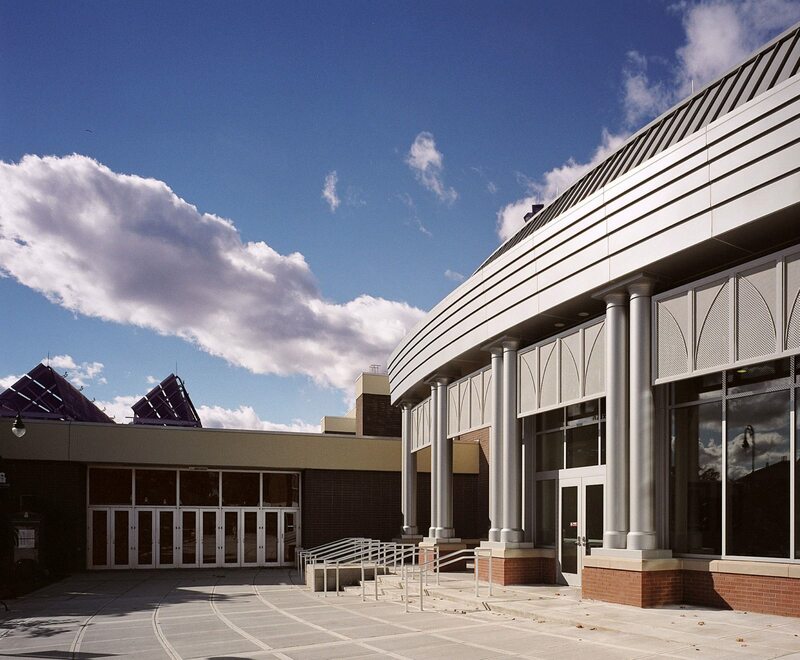 The programming study outlined a two (2) phase expansion and consolidation of the existing Student Center and the Sports Center into a single “University Center” – – creating a central focal location for all Student Organizations, Sports and Athletic programs and a significant mechanism for developing social interactions, dialogues and relationships among the community, commuter and resident student populations.